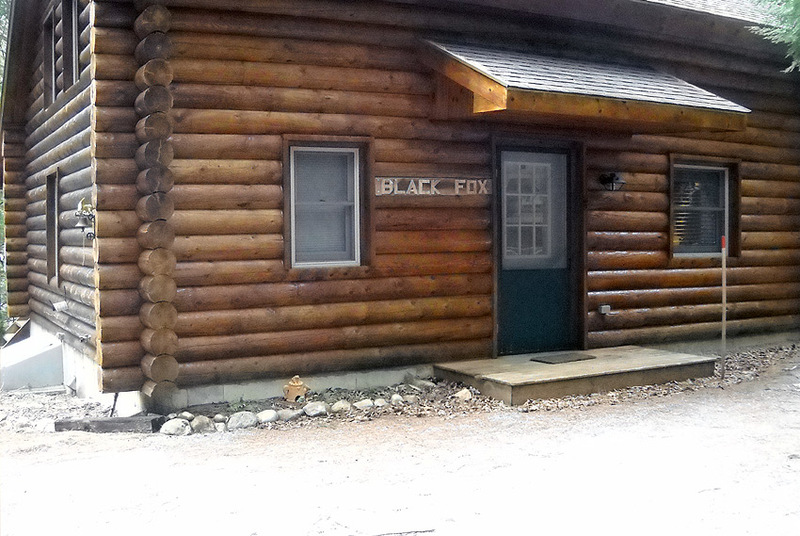 Black Fox sleeps 6 with a queen size bed in the master bedroom, twin beds in the upstairs bedroom and a Futon bed in the sleeping loft, living room with fireplace, one and a half baths, full eat-in kitchen with all modern appliances including dishwasher, microwave, and a local telephone. 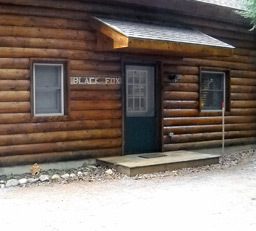 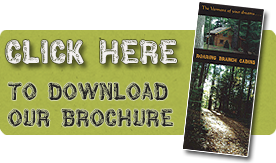 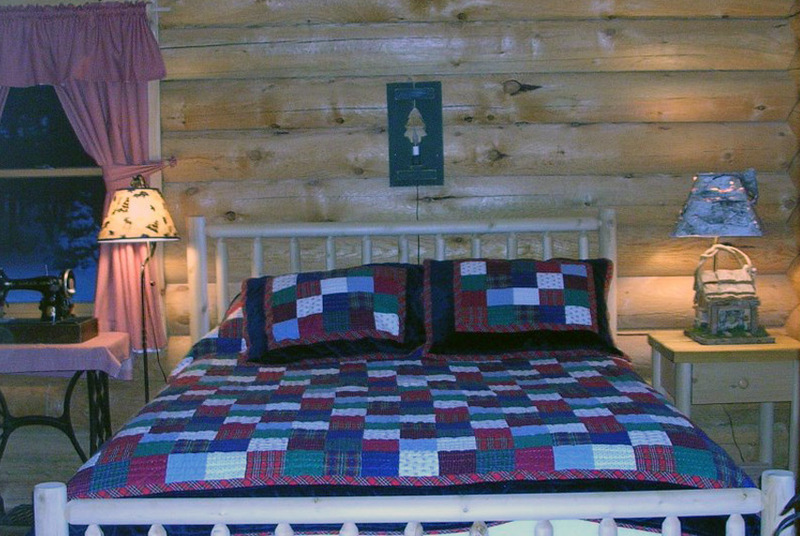 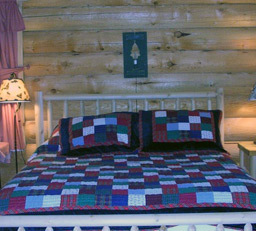 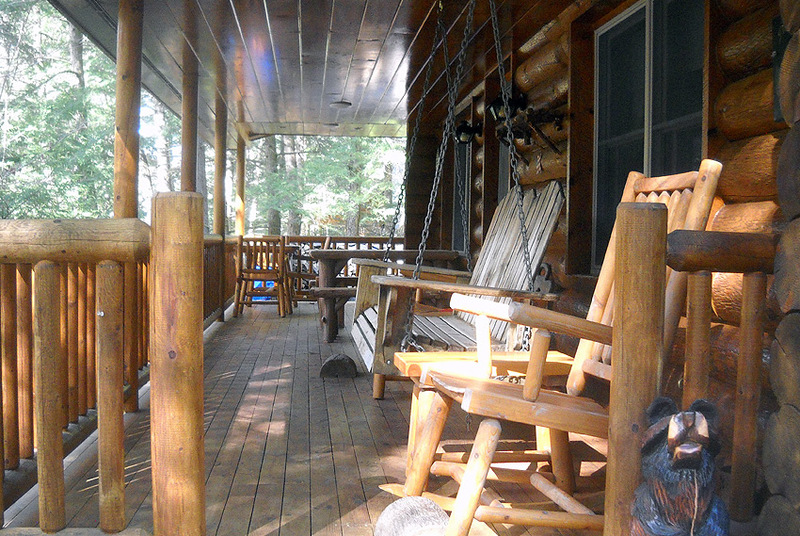 The Black Fox Cabin has an extended length porch with lighting for evening use, two picnic tables and a swing. 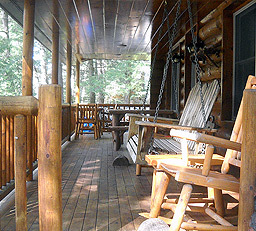 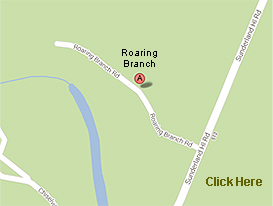 The porch overlooks the Roaring Branch stream. 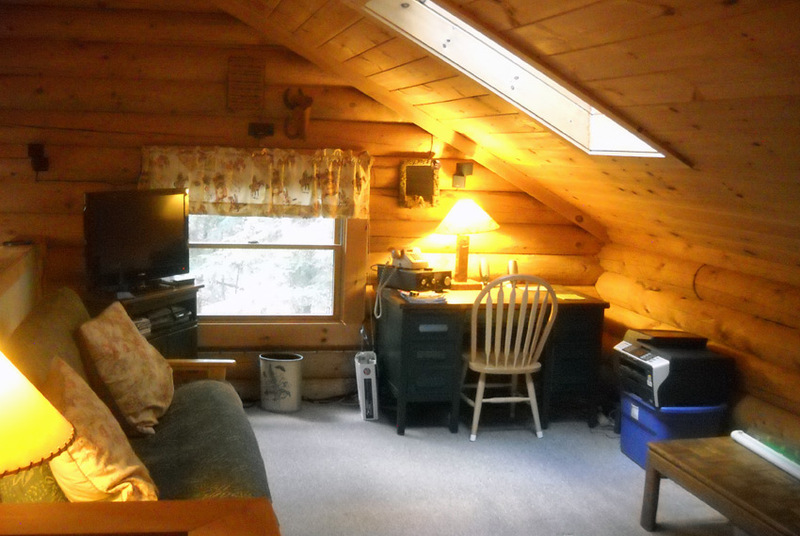 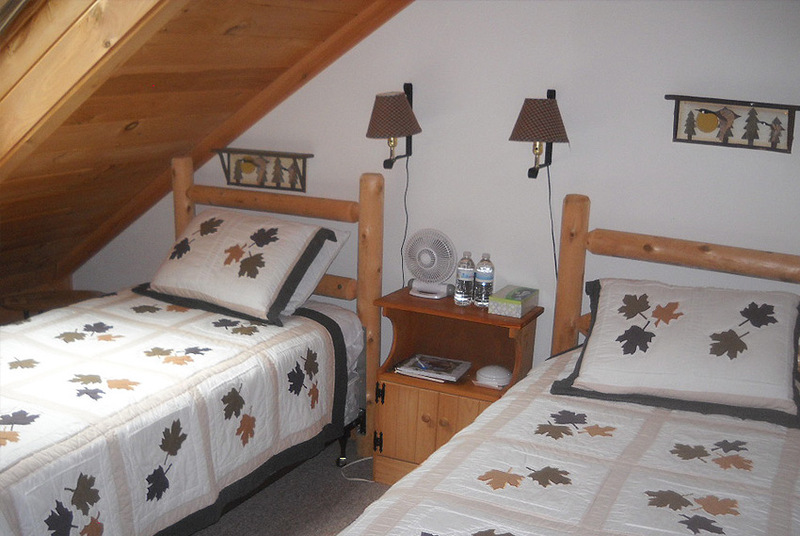 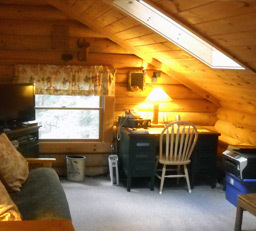 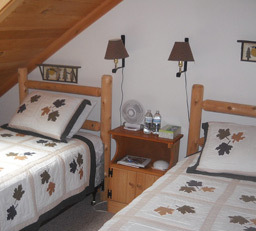 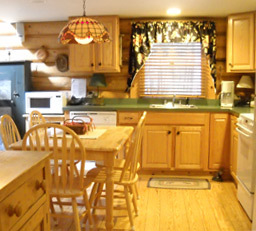 We are a smoke-free, pet free cabin.